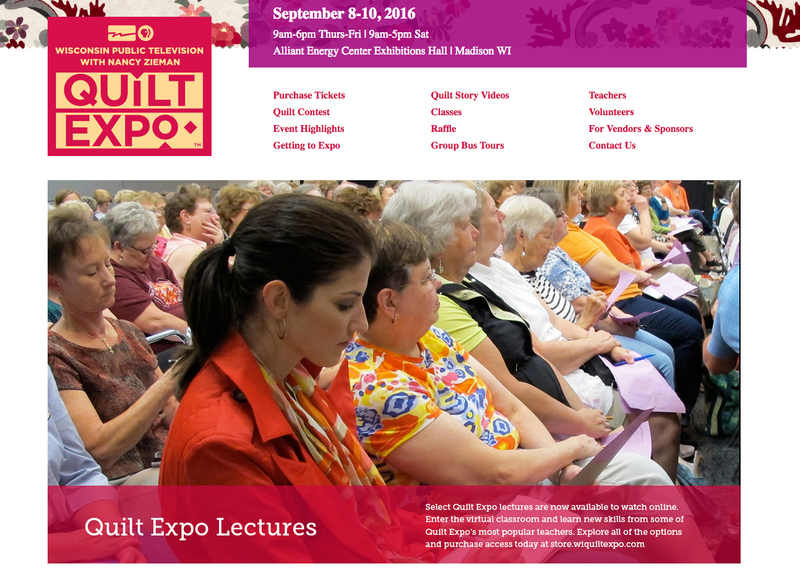 On September 8–10 thousands of quilting enthusiasts will gather in Madison, WI, to find inspiration, share new techniques, stock up on supplies, and celebrate the joy of quilting. Now in its twelfth year, Quilt Expo continues to be the Midwest’s premier quilting destination. I invite you to join me at this year’s event! Here’s a sampling of the highlights of this year’s Quilt Expo. With over 200 educational lectures, sit & sew workshops, and hands-on workshops, there’s something for everyone. Plus you’ll find hundreds of quilts on display. Choose from over 120 One Hour Lectures. You’ll find quilting techniques and styles for all levels. In Ann Wanke’s Lecture, you’ll learn how to organize your fabric stash to make amazing quilts. You’ll find a variety of offerings when you go to the Quilt Expo website. Sign up soon, as these workshops quickly fill. Jane Godshall will teach Introduction to Foundationless Piecing—perfect for those of us who want to sew accurate points and seams without sewing through paper. Kick off your Quilt Expo week—a day early—when you join Susan Hoffmann for her all-day Landscape Painting With Fabric Workshop. The stage presentations are included with your admission ticket. View the 2016 Advance Registration Guide online. Our Kids’ Quilt Challenge, which is held on the stage, is a Saturday morning favorite. 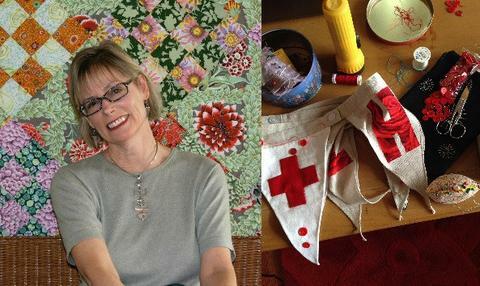 Thursday night, September 8, join Meg Cox as she Celebrates Quilters with serious quilting (and partying) skills! What do murder mysteries and quilting have in common? Join Melissa Bourbon on Friday night, September 9, for a fun and entertaining evening. Our goal is to make and collect 25 twin-sized quilts. Enchanted Makeovers and DAIS (Domestic Abuse Intervention Services) will be the recipients of the quilts. Click here to download instructions to sew an easy quilt. 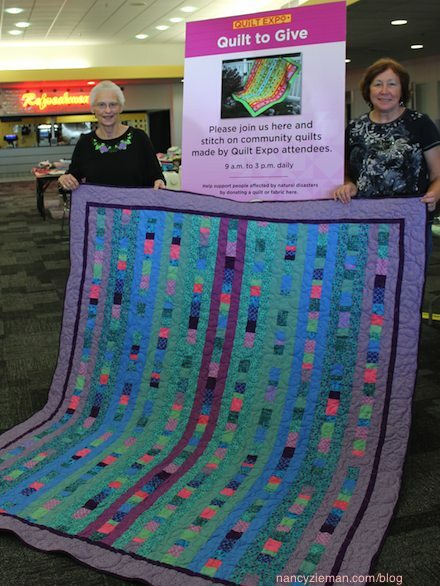 Consider making a quilt in advance and then donating it at Quilt Expo. Just like quilting, becoming heart healthy comes together one piece at a time. Join UW Health/Go Red for Women and pick up a free pedometer in the front lobby, to keep track of your steps while promoting healthy living. Plus Quilt Appraisals, Commemorative T-Shirts and Tote Bags, A Raffle at the Wisconsin Public Television Booth, and More! Click to register! and save $2 on every admission ticket, lecture ticket, and workshop ticket, when you preregister by September 5. Visit QuiltExpo.com for details. If you’re interested in covering Quilt Expo happenings, register using the Media Form. Get a sneak peek into Quilt Expo! Watch A Modern Quilting Bee on Sewing With Nancy online. See you at Quilt Expo! The first thing that my best friend (my hubby) and I do is scope out the whole area of the expo. We are always in AAAW of the new things and look forward to meeting with Nancy at the booth. Great inspiration! Great time! the first thing that my best friend (my hubby) do is scope out the whole facility. We don’t miss a vendor and make sure we see NANCY in person. We spend a minimum of 275 days and when I sleep and dream quilting and all the neat and new things out there, I’m always back for more! Great inspiration and tons of fun! The first thing we do (my best friend and I-Hubby) scope out all the vendors and start in one corner and we don’t miss a beat to stop and shop at every vendor. Of course, I stay for the 3 days so we can revisit vendors if I absolutely need to purchase my dreaming of gotta haves after my first nite! LOL I love this show and now it is the only show I attend each year. I love meeting with Nancy as well! Great time! Great inspiration!!! Bathroom first (so I can concentrate on all the cool sites)! Then the vendor expo to see what’s new, canoodle with like-minded quilt-aholics, and get inspired! Bathroom first so I can walk and enjoy the show. What to buy lots of new ideas. My quilt buddy has a quilt entered this year so first thing we’ll go check out the quilts! Then vendors and classes, we’re staying overnight so excited to have two days to explore and enjoy! Usually I start by going through the vendor displays working from one end to the center. Then it’s usually lunch time. After that we go through the quilt entries and finish up with the other end of the vendor displays. All in between going to lectures of course! I will go to the exhibitors area. I have never been to any type of sewing expo before and am so excited to see the supplies and techniques that are available to help me on my quilting journey! This year, I’ll be attending a one hour session first thing when I get there. Most years, I hit the shopping floor first! What? Coffee doesn’t count? Then I shall just wander the vendors on my way to the back rest rooms! Looking forwarding to attending this year. I am very interested in expanding my quilting skills to make landscape and art quilts. So my first task would be to locate examples of those type of quilts on display, and looking for Nancy Ziemans booth so I could “Pick her brain” about that topic. The first thing I’ll do is see where it is less crowded, quilts or vendors, and start there. I’ll be picking up a friend in the Chicago area to go with. My total driving is almost 900 miles from Greensboro, NC, and I feel it is worth every mile to be there. I would love to add to my fabric stash, look at all the beautiful quilts and hope that I am lucky enough to have a Nancy sighting!! Thanks for the chance. If I won, I would want to see all the beautiful quilts. Then I would see if there were demonstrations and classes to try. I would also want to find a good place to have some tea and talk to my son who lives in Madison. It be a wonderful excuse to go and see him! I am coming for the very first time with some friends. I want to see the quilts to get some inspiration to come home and finish all of my UFOs. I will then walk the aisles checking out everything and go back to shop. I have learned to check out prices before just buying something. The first thing I will do is treat myself to a tour of the quilts on display. Will there be a map of the convention center showing where the venders and eating places are? Will the map show where the classes are held.? It would be great to plan ahead to see where the venders are so we wont miss visiting places we like to shop at and to see the new quilting tools. The first thing I do is look at the quilt displays. View the quilts, first and then shop! A great opportunity to visit the Expo. I would go to the end of the room and start looking at the booths in an orderly manner, going up and down the aisles. I would keep note of booths that I may want to revisit and go back to them later. I would go to the exhibits first. Then I would check out the vendors. I would probably spend spend spend. 2). Check out the vendors and buy, buy, buy. 3). Hope my feet hold out. I would check out the vendors, and make note of the ones that I wanted to return to, as well as any lectures by sewing celebrities. I would have a special time set apart just to view and take in the quilts entered in the show. .
I’d look at all of the beautiful quilts and then shop. I’d have a list of what I need and what I want to see or learn. Oh and I’d have to buy a Quilt Expo tee shirt! The first thing I do at Quilt Expo is to head for the quilt display. These wonderful examples of the quilter’s art always inspire me. Such talent and creativity! Thanks for the chance to win tickets. The first thing I’ll do is visit the Nancy’s Notions booth, it’s the first booth you see when you walk in and has the best buys! The first thing I will do is visit all the quilts to get inspired. It will also be the last thing I will do. I love seeing all the talented people’s finished product. I want to see the prize winning quilts. I can only hope to be half the quilter that most entrants are. The 5-hr. drive will be worth it!! Wow! An opportunity to go to the expo. The first thing I would do is meet and greet as many participants as possible –they’re all sisters and brothers. I like to just walk around and check out the quilts, then I love the shopping!